I never thought that a haiku would be so hard to write. I don’t normally write poems about the happy memories. It hurts, almost too much, to look back at what I had, and know that it’s lost. 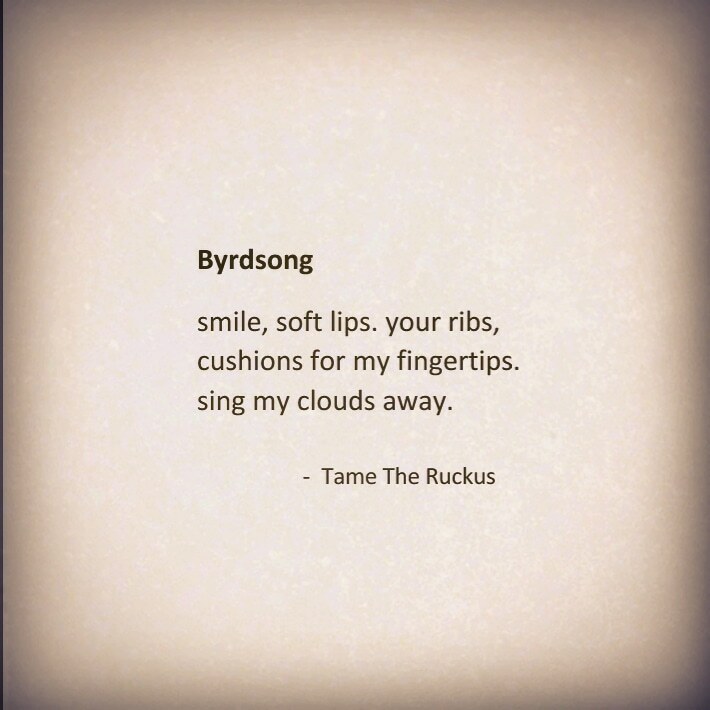 I wrote this remembering my best friend, the way she’d smile and laugh every time I put my fingers on her ribs and tickled and squeezed. And she’d do the same, and we would laugh, and we would hug. I miss you more than you know, love. I came up with this exercise a couple years back: just follow the sonnet form (ABBA in this case) and give yourself a time limit to get it done. The trick is to stop judging the words that come up in your mind and trust that you'll find the best ones to fit. What I noticed was under the strain of a sharp deadline, "logical" thinking stepped aside and allowed more images to arise. I believe that images found under this strain are more symbolic, having come straight from the subconscious rather than created via rational thought. I did this every day for a couple of weeks (some were omitted, but most are here), and I'm surprised at what popped out of my head. What's exercises do you do to get yourself writing?